is a neighborhood with lots of places for that. The winter vista of the Norway summits and the joy of rocketing down a slope are in themselves cause enough to come here to ski. The peaks of Norway in wintertime are a tremendous site for snowboarding or skiing. This ski mountain has 497 acres of skiing area, and it's all covered by snow. It's always cool to ski here at Lifjell, Telemark with heaps of challenging ski slopes. 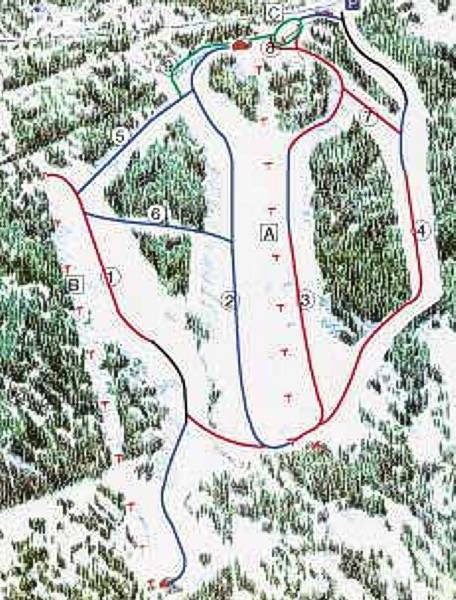 There's a ski trail map of Lifjell, Telemark on this page for your reference. Some of the runs on Lifjell, Telemark could easily harm you; but you need to do what you need to do, right?